Well, wake season is winding down. It’s almost time to fold up your boardshorts for the summer and start searching for that hoody you tucked away in the depths of your closet back in April. It’s the normal progression, right? WRONG! All the new 2015 gear just landed and it’s time to squeeze everything you possibly can out of your season and stay out there!! You’re in your prime, you’ve been practicing all season long, why not treat yourself to something new and finish your season on a freakin’ high note? Here’s the lowdown on some of the HOT ITEMS for 2015 – and you can get them NOW at BuyWake.com! It’s no secret that the Hyperlite Team shines bright behind the boat. Jimmy Lariche, Rusty Malinoski, and JD Webb all have a history of being “the one’s to watch” when it comes time to pile into the G23. In this short edit shot at Bethany Creek Resort in Texas, the boys leverage their boat skills into this 2 min 40 sec heater full of creative wake tricks. One footers, osmosis tricks, and tons of off the wall invert variations make this edit “favorite worthy”. Here’s a quick video of Rusty Malinoski riding in his new signature vest from Body Glove. To call it “smooth“ would be an understatement. 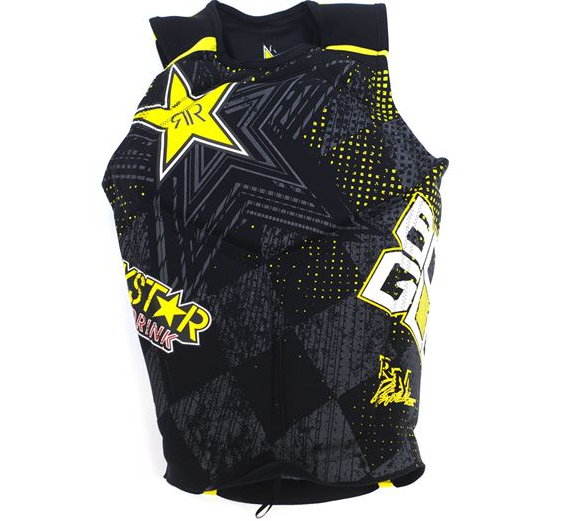 Check the specs on Rusty’s new vest here. 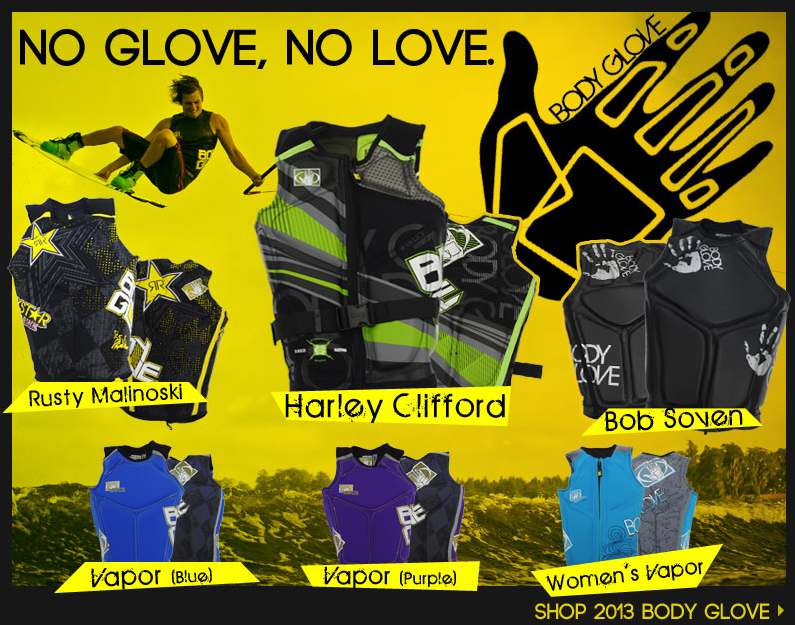 Signature wake vests from Body Glove are now available at BuyWake.com. Browse now to see what Harley Clifford, Rusty Malinoski, and Bob Soven will be rock’n on tour this year. No Glove, no love! Last updated by Rhett at October 15, 2014 .